How do I decide if it’s right for me? Concurrent Planning is for babies and young children under 2 in care who are likely to need adoption, but who still have a chance of being reunited with their birth family. Concurrent carers are dually approved as both foster parents and adoptive parents and perform the role of foster carers while the courts decide whether or not a child can return to its birth family. During this time the children will need to see their parents regularly in supervised contact centres and the concurrent carers will need to support the birth family’s efforts to regain the care for their child. If the courts decide that the birth parents have shown they can be reliable and loving parents, the babies will be returned to their care. Occasionally another member of the birth family who was previously unknown to the agency will come forward at a late stage and can offer a permanent home for the child. You would then need to work, together with the local authority, to manage this in the most sensitive way for the child. It can be a very distressing time for the concurrent carers, even though it is judged to be the right decision by the court. The concurrent carers will have the satisfaction of knowing that they have given these children the best possible start in life by providing care and security from the earliest time, and will help them settle back into their birth family. However, if the courts decide that the child’s parents cannot provide the security and care that a vulnerable baby needs, and there are no alternative carers in the birth family, the child will remain with their concurrent carer/s and be adopted by them. What are the benefits of Concurrent Planning? 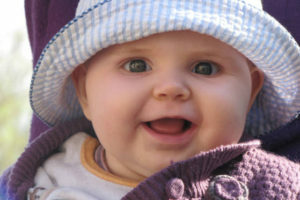 it speeds up the planning for vulnerable babies and young children. it will avoid the stressful upheaval for the child when moving from foster home to a new adoptive family. the bonding period with their adoptive parents can begin sooner giving both baby and carers the opportunity of forming a close and secure attachment. adoptive parents may have had the opportunity to get to know their child’s parents at contact sessions and will be in a good position to understand their background and struggles. This will be helpful for them and their adopted child in the future when adopters are talking to their child about the reasons their birth family were unable to care for them. Who can be a concurrent carer? To be a concurrent carer you need to be resourceful and emotionally mature, able to put the needs of babies and young children first, and respect and work with a child’s birth family in the early months. People from different backgrounds and religions, single parents as well as couples are welcome to apply to become concurrent carers. It is important that you have a strong support network to rely on. Anyone who is thinking of becoming a concurrent carer would be offered special training and preparation to help them think whether this is the right path for them. It is likely that many concurrent carers will go on to adopt the children they have cared for and helped through the early, unsettling months when plans were still uncertain. However, the decision whether or not to return the child to its birth family is made by the court. As a concurrent carer you would need to be able to deal with the uncertainty of this during the court proceedings. Social workers and other professionals involved in concurrent planning would provide support for concurrent carers throughout the placement. Coram, Barnardo’s, CCS Adoption, Borough of Poole, Essex County Council, Lancashire County Council and the London Borough of Southwark. Adoption Matters and Caritas Care work in partnership on The North West Concurrent Planning Service to offer concurrent care placements across the Northwest region. Contact your local adoption agencies to see if they offer it as it is becoming more widely available. 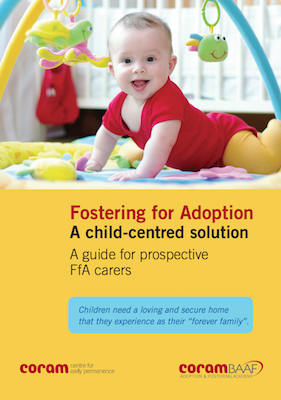 ‘Fostering for Adoption – A child-centred solution’ by CoramBAAF also has useful information for prospective Concurrent Carers.